Aegon has appointed Sportsworld to deliver its corporate hospitality during the Aegon Masters Tennis at the Royal Albert Hall. Aegon Masters Tennis tournament is scheduled to take place on 1-6 December and is the finale to the ATP Champions Tour. Sportsworld's remit is to work with rights holder IMG to support Aegon's hospitality requirements and manage guest invitations to the event. The agency will work on the event from 2009 to 2013, in line with Aegon's sponsorship term. 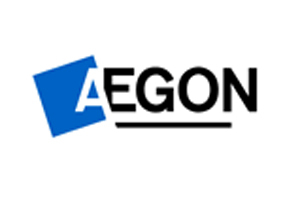 Aegon appointed Sportsworld earlier this year to manage its hospitality requirements at Aegon's British Tennis Series, which includes the Aegon Championships, Aegon Classic, Aegon International and Wimbledon. Aegon director of marketing and customer strategy Steve Clode said the life and pensions company was delighted to extend Sportsworld's services across its portfolio. "Sportsworld has proven to be a hard-working and trustworthy event management partner throughout 2009," he said. "In addition to the hospitality expertise and administrative efficiency Sportsworld brings, its management reporting is insightful and adds value to our measurement of ROI." Sportsworld operations director Jeff Hunter said: "We're pleased that the key performance indicators put in place for Aegon's sponsorship hospitality programme have scored exceptionally well in this first year. We look forward to building on this success over the next four years."